A. p. Deshojo - Including; Shin-deshojo, and Shichi-go-san. 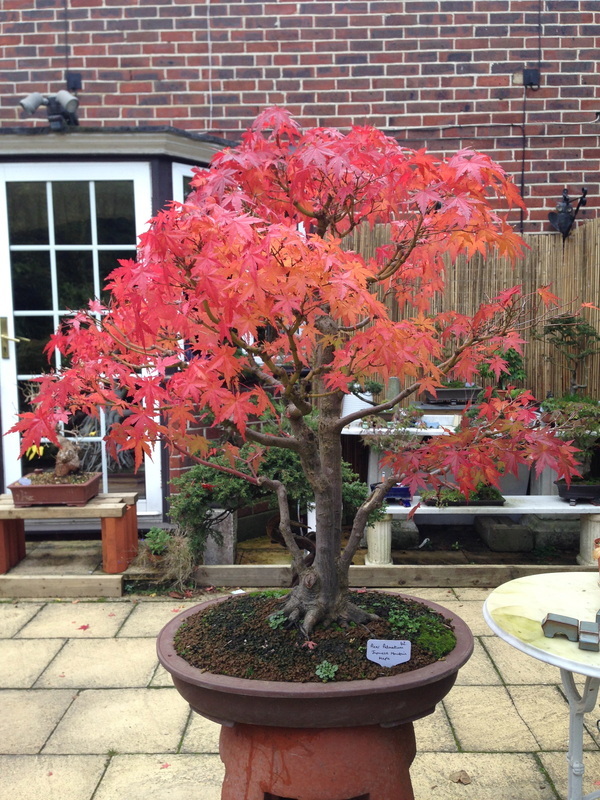 Japanese Maples are possibly my favourite trees for bonsai, due to their delicate palmate shaped leaves, fine branch structure, and captivating variety of seasonal colours. 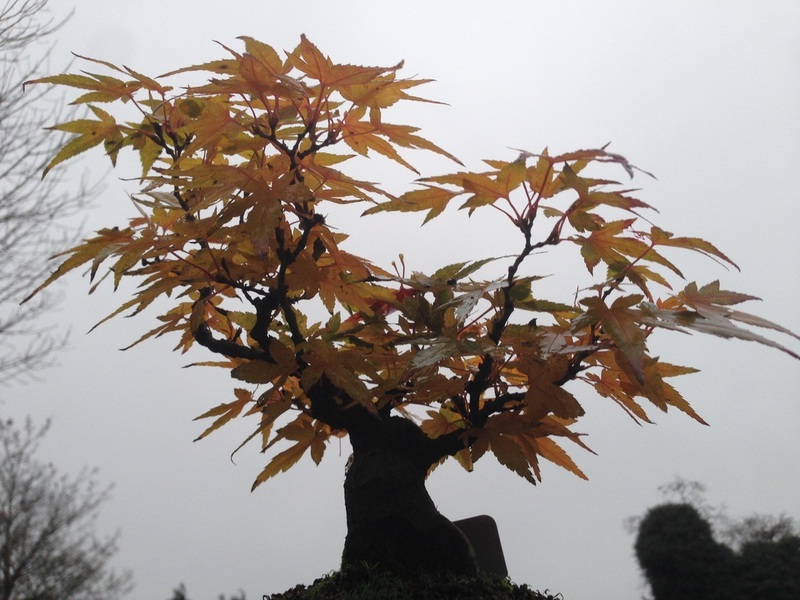 Spring and Autumn offer the most impressive colours, then during winter a whole new tree reveals itself; with stunning silhouettes, fine branch structures and beautiful tapering trunks - a tree for all seasons! Maples are often grown in Informal upright style, but do lend themselves to other styles, including; root-over-rock, and broom styles. Maples are deciduous trees; dropping their leaves in the Autumn, and entering a period of dormancy where they store sugars as starch in their trunk, branches and roots, and stop photosynthesizing and growing for the Winter period. 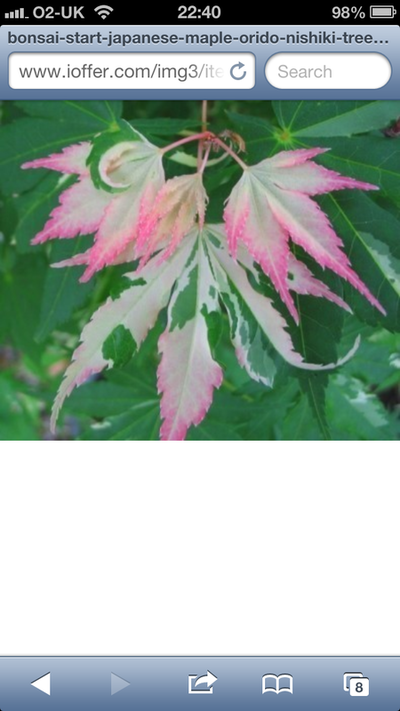 The leaf arrangement of Maples is a paired one, whereby each pair is orientated at 90 degrees from the last pair on the branch - so you find a pair of buds orientated horizontally, then a vertically orientated pair, and so on . 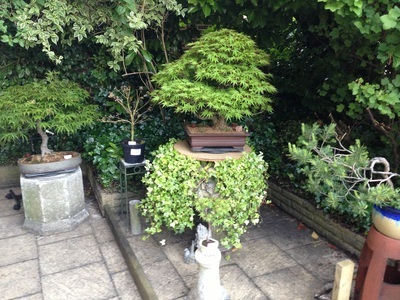 This arrangement makes it possible to grow Maple bonsai by the 'clip and grow' technique alone; by pruning back to a bud which is pointing in the desired direction for a new branch. When a branch becomes too thick and out of proportion to the silhouette of the tree, it must be cut back to a thinner side branch, or removed entirely and replaced by a new thinner branch. The replacing branch will then be left un-pruned to grow, until this new replacing branch reaches the required thickness. The branches of some Maples also respond relatively well to wiring and bending techniques, especially thinner branches, which allows greater control of the shape of the tree over clip and grow alone. As branches can thicken quickly in the growing season however, it is necessary to regularly check whether the wire is biting into the branch and needs removing. 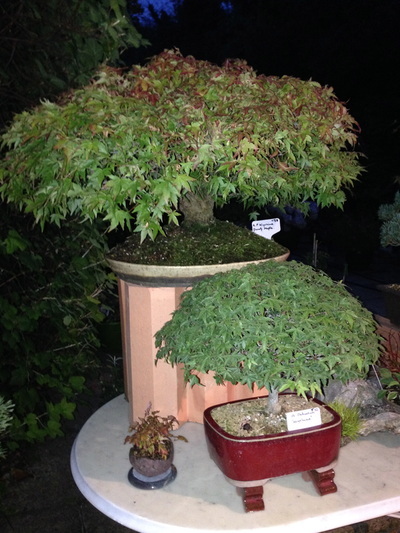 Some cultivars, such as A. palmatum shishigashira have quite brittle branches and are less suitable for wiring, although it can still be successful if done with great care. Maples respond well to horticultural techniques including air-layering, and various grafting techniques; all of which I will write about over the coming seasons. 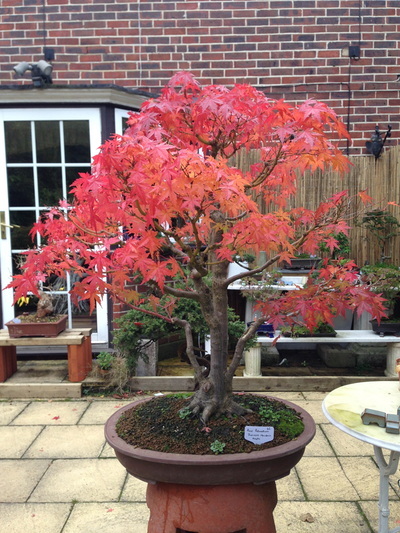 Re-potting of maples is carried out in the Spring time, just as the buds start to open and extend. 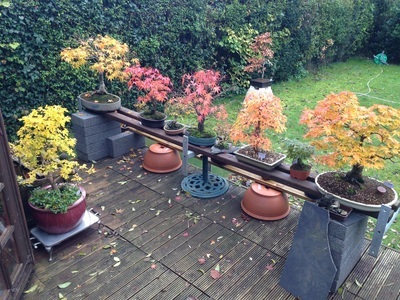 I will discuss re-potting techniques, and my 'soil / feeding / watering' approach on another page and in blogs.